This post was written by our partner, TurboTax. Whether you’re a well-established business owner, or you’re just starting off, you need to stay up to date with the recent tax law changes. Tax reform may affect your financial strategy and overall tax picture. (Your overall tax picture is what your taxes look all year round and not just during tax season.) With that in mind, we’re here to walk you through some key ways that the new tax reform changes could impact your business. What’s the deal with tax reform? In December 2017, Congress passed the biggest piece of tax legislation in more than three decades. These new tax laws changed the way tax deductions are structured for the majority of taxpayers. Now that the new tax laws went into full effect for the 2018 tax season, many people, including solopreneurs, businesses, and workers in the gig-economy, have begun to see new changes across their taxes and finances. Still wondering how certain changes may impact your business if you’re self-employed? Here are some important tax law changes to keep tabs on. Here are a few key tax reform changes that affect self-employed businesses. You might be eligible for the new 20 percent business income deduction. As a general rule of thumb, the Qualified Business Income deduction is available to eligible taxpayers whose 2018 taxable incomes fall below $315,000 for joint returns and $157,500 for other taxpayers. The maximum deduction for qualified business equipment has increased from $510,000 to $1,000,000. You may get a depreciation deduction up to over $40,000 in the first four years of buying a new car for your business. Now that you’re up to speed with a few key elements of the new tax laws, it’s time to take the next step and find hidden business deductions that you may qualify for. If you buy equipment for your business – think printers, office supplies, office furniture, and computers – take note that the maximum deduction for qualified business equipment has increased, but the amount you can deduct is still limited to the amount of income from business activity. If you’re not 100 percent certain which deductions you’re eligible for, TurboTax Self-Employed can help you uncover industry-specific deductions that others might miss. 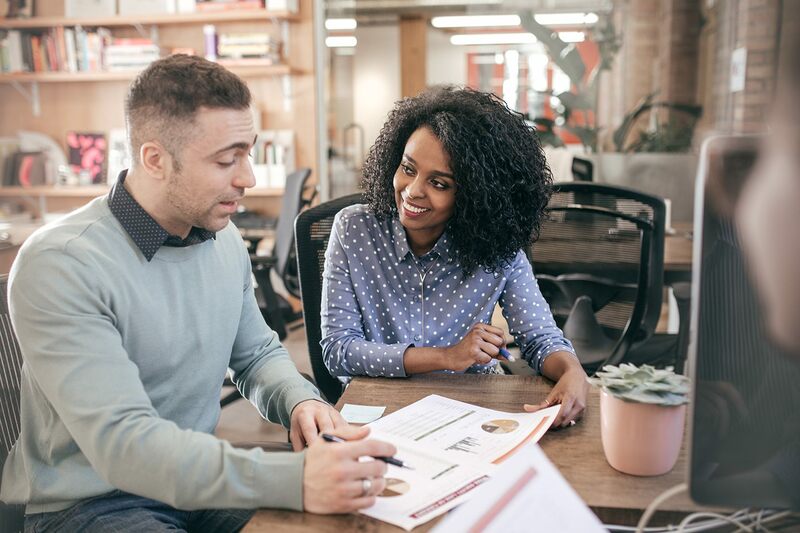 As an added bonus, TurboTax Self-Employed comes with a complimentary one-year subscription to QuickBooks Self-Employed, which can help you track expenses and capture receipts all year round. If you need expert guidance to navigate tax reform or you’re looking for a helping hand with your taxes, TurboTax Live Self-Employed makes it easy to click to connect with real CPAs via one-way video for personalized advice and answers to your tax questions. TurboTax® is the #1 best-selling tax preparation software to file taxes online. Easily file federal and state income tax returns online with 100% accuracy. TurboTax coaches you step-by-step to help you get your taxes done right, even if you have no previous tax knowledge finding every deduction you deserve. With a simple click, you can access TurboTax online assisted tax preparation solution, TurboTax Live. You can quickly connect to credentialed tax experts, in English or Spanish, via one-way video technology throughout your tax preparation experience for personalized tax advice. They can review your return line by line; they can sign and even file for you.